In the last few years, the industry has been booming with cool gadgets, and tech solutions such as wearables, analytics tools, performance boosters, and so on making it very clear we’re living in an era of innovative technology. Now, most sports organizers, teams, and players are looking to the future and embracing these changes to improve every aspect of their operations – and they’re doing this by turning to sportstech startups. So, here are the main trends that make me believe sportstech will be the next “big thing” to revolutionize the sporting world. Accelerators are programs that mentor, educate, and finance early-stage, growth driven companies. With this support, these companies can rapidly access tools to build and develop all avenues of their business, such as their marketing plans, funding, and so on. These programs are playing an increasing role in startup communities around the world, as they help immensely with the early investment in equity stake. Generally, every accelerator covers many different topics, that discuss various issues startups are solving. For example, cybersecurity, cryptocurrency, fashion are just a few topics you can find examined. In the last few years, we have witnessed the rise of a new type of accelerator, one that focuses on sportstech. This accelerator aims to discover solutions relevant to sports such as athlete tracking, sports analytics, and fan engagement. leAD Sports, KICKUP or HYPE, to name a few, are accelerators that bring industry leaders, mentors, former athletes, sports journalists, coaches, and even sports marketers to assist early-stage startups in reaching their goals while evolving the world of sports as we know it. “If you build it, they will come” – and they will invest a lot of money. Lately, there have been numerous investments made towards sportstech startups. For example, Playsight Interactive extended its Series C financing to $21m, Athlete optimization startup Whoop raised $25 million, and Overtime raised $9.5m in their Series A funding. All three of these startups, improve the way fans and athletes interact with sports and each other through the use of their technological solutions. The sportstech industry is being flooded with new VC’s and accelerators that solely focus on discovering the next VAR or goal-line technology that will take the industry by storm. Rest assured, the next big thing will be a huge game changer for the sporting world. 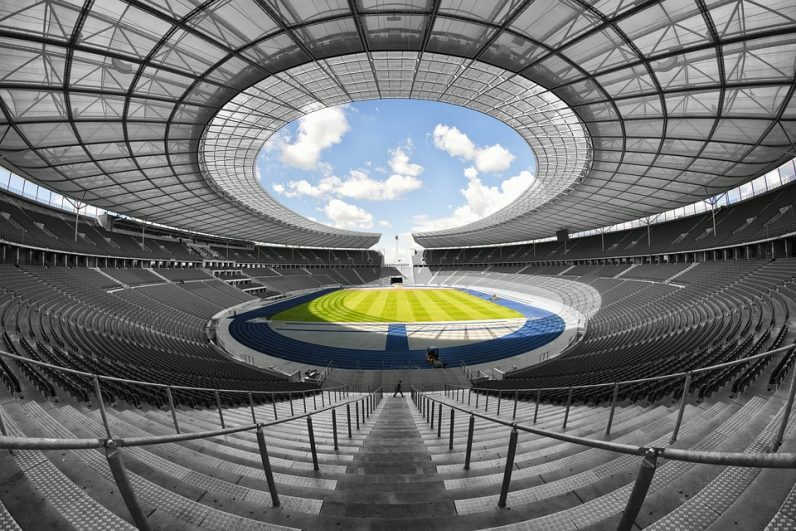 Over the last few years, Intel has been investing a lot of money in the sportstech industry due to the fact that it’s clear the business world is being highly affected by developed technologies – and sport is no different. For this reason, Intel acquired startups such as Voke, a virtual reality live streaming startup and Reply Technologies an Israel-based startup that develops 3D video broadcasting software. Changes have been occurring at lightning speed in the sports world, and the biggest clubs in Europe, such as Chelsea, Bayern Munich, and Arsenal haven’t failed to notice. In fact, these clubs went as far as establishing their own separate foundations to help them find new technologies that will support the teams. They are in search of solutions that will improve fan relationships, team engagement, smart stadium technologies, and even tech that can improve player performance and skills. Like all developing industries, networking events are crucial to expose the right people to upcoming trends in the growing community. Events such as TechCrunch Disrupt and Web Summit — the largest tech conferences in the world — present cool and innovative startups to investors and potential clients. Recently, there has been a rise in these kinds of events. They aim to not only offer relevant startups an opportunity to grow but also, provide startups with the stepping stones to accomplish this and make a change in the industry. The sportstech industry is growing, and this is only the beginning. As money, press, clubs, and more are revolutionizing the industry, it is clear that sportstech will only continue to develop until the way we consume, interact, and play sports will entirely change in the future. Some evolution has already occurred with VAR technology, and I can guarantee that there are many more things coming our way that will change the game for sports. Read next: Crypto trading bots are a thing these days – but can they actually earn you money?